Beef or chicken fajita. 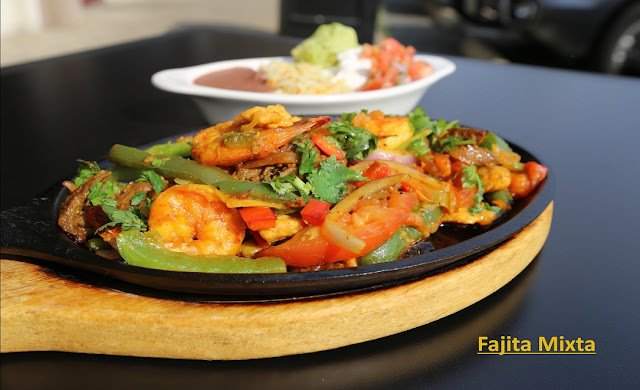 Shrimp Fajita add $1.00 . beef or chicken, served with rice and beans. Each order includes 3 soft tortilla tacos. Whole fried fish with latin special spices, served rice cabbage salad and tortillas. beans, fried plantains and cabbage salad. beans, cheese, avocado and tortilla. cheese, cabbage salad and tortillas. served with rice, cabbage salad and tortillas.